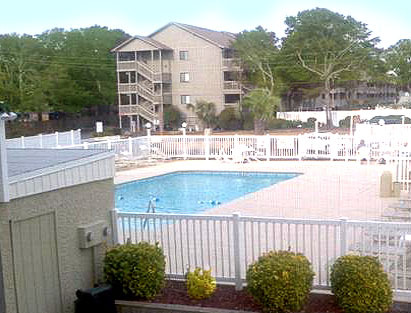 What could be better than a luxury condo near all the fun and excitement that Myrtle Beach has to offer? How about a condo that also sits on a premium stretch of sand, away from the hustle and bustle of heavy tourist traffic, providing a bit more privacy and security than the average resort. Pelican’s Landing is a little piece of heaven in South Carolina’s vacation paradise. These beautiful 3 bedroom units offer up-to-date, lovingly maintained interiors, screened-in porches, serene panoramic views from private balconies, and an outdoor pool. Whether you are looking for a family vacation home or a full-time residence, these spacious, comfortable condos are just what you are looking for. 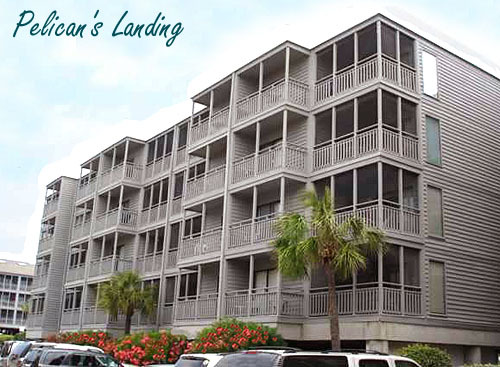 A perfect location adds to the appeal of Pelican’s Landing. It’s just a stroll to Ocean Annie’s, the Grand’s Strand’s famous night club and beachfront public pool. Another favorite tourist attraction, Apache Pier is also within walking distance and features live entertainment through the summer season. Many restaurants, shops, services, and a grocery store are conveniently across the street. The stunning Arcadian Golf Course, with a landscape of verdant greens and trees covered in moss, is nearby to delight avid golfers. Walmart Super Center, Tanger Outlet, Target, Lane Bryant, and many other shopping opportunities are just minutes away, with Carmike Cinema, more shopping centers, and restaurants to the North. If you would like to know more about this incredible condo resort, please visit our website and peruse current listings and, if you have any questions, call our real estate experts. Schedule a private tour of the condos for sale in Pelican’s Landing in Myrtle Beach, today!